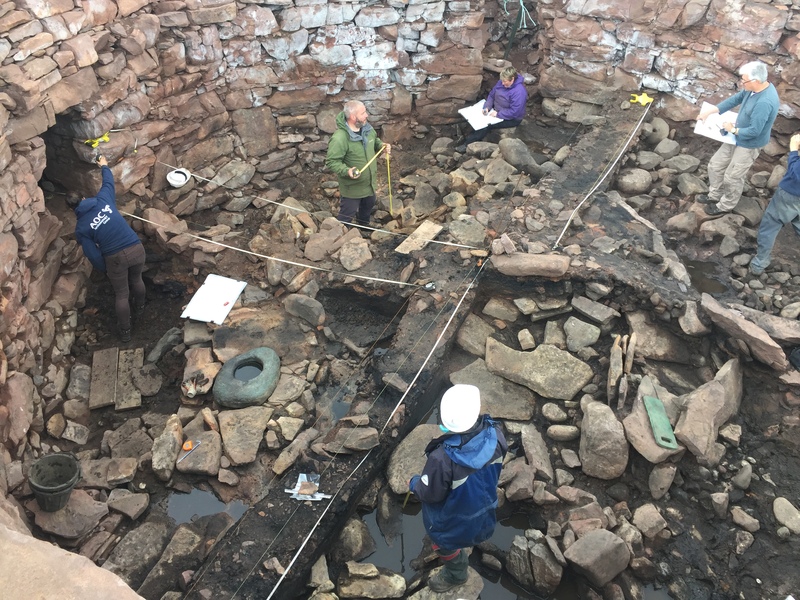 The following is based on a transcript of notes by Mary Peteranna (AOC) for her presentation at the Highland Archaeology Festival Conference 2015. 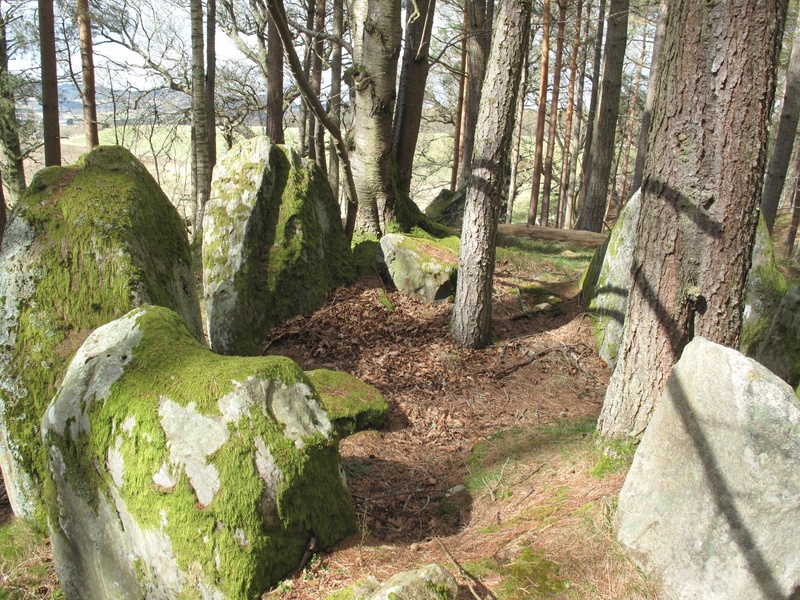 It describes fieldwork at Craig Phadrig hillfort carried out by AOC Archaeology in early 2015 on behalf of Forestry Commission Scotland, see Data Structure Report. Craig Phadrig (Canmore ID 13486, HER MHG 3809) is located on the west side of lnverness, a prominent position overlooking River Ness and entrance to the Beauly/Moray Firth. The Beauly Firth marked a southern boundary of an area defined in the north by the Dornoch Firth landscape, supposedly held by the Decantae tribe in the lron Age as shown in Ptolemy’s map. 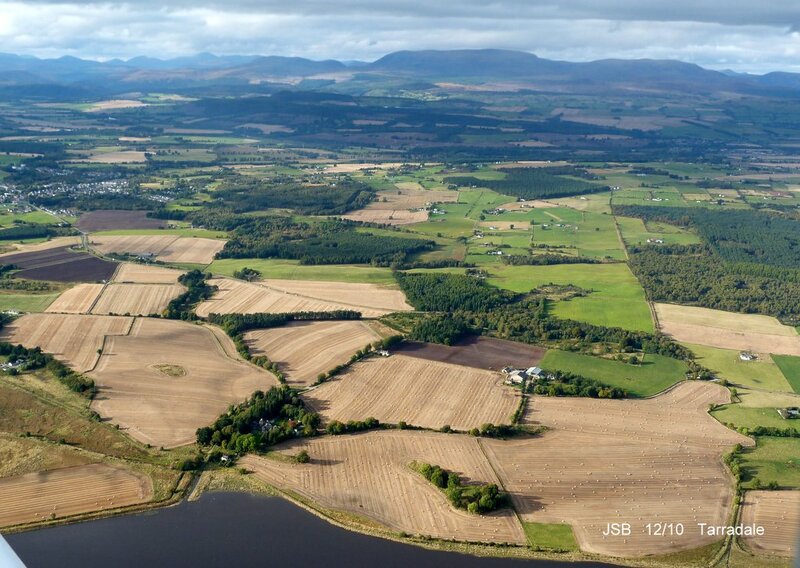 Knock Farrell and Ord Hill hillforts are in line of sight, and a third possible fort is at Torvean In Inverness (Canmore ID 13549, HER MHG 3749). 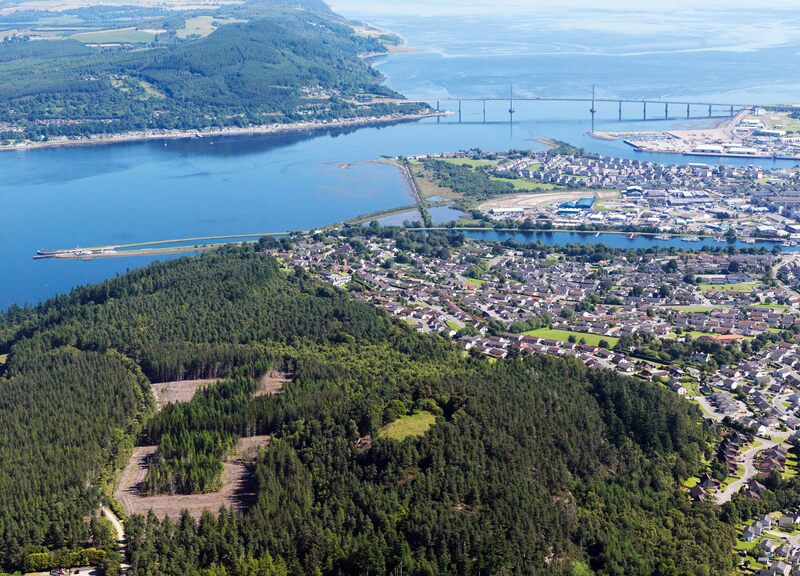 Aerial view of Craig Phadrig, Inverness, the Kessock Bridge and Ord Hill (Forestry Commission Scotland). 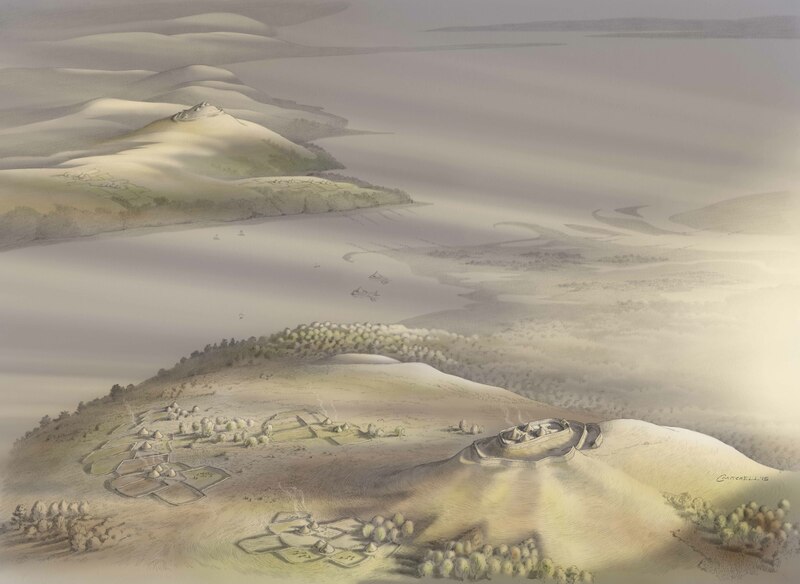 A visualisation of the same scene as it might have appeared in prehistory (Forestry Commission Scotland). 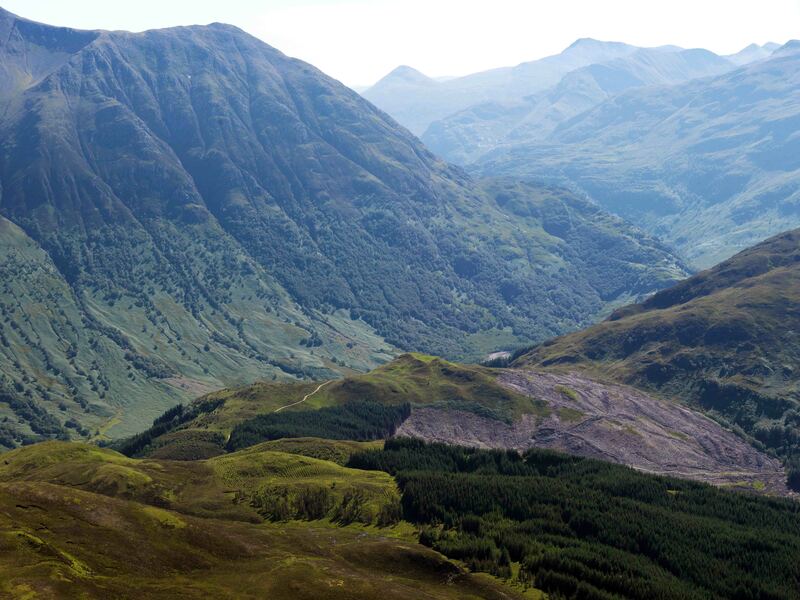 Craig Phadrig is a prominent landscape feature, referred to at the time of James Vl in 1592. It is an oblong fort, a type which clusters around the Moray Firth region. Similar forts in East Scotland such as Finavon, Dunnideer and Tap o’ Noth also feature lack of entrance and massive walls suggesting an exclusive use. Many show evidence for lron Age construction, abandonment and secondary re-use. Previous survey and excavation. 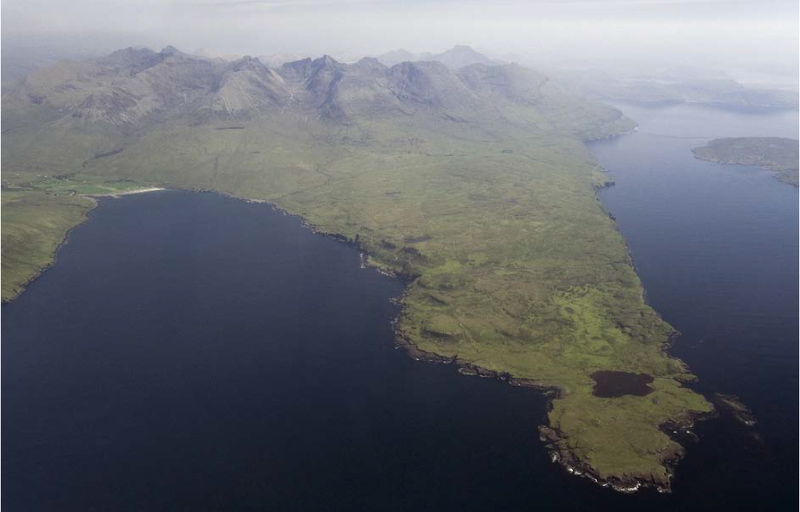 Numerous previous surveys have been conducted on Craig Phadrig, probably sparked by Penant’s 1769 Tour of Scotland where he mentions vitrified stone. 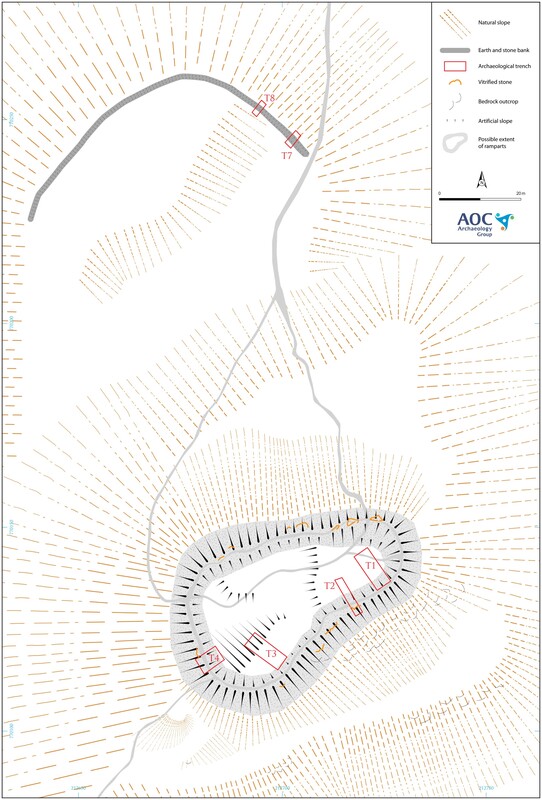 Plan shows the 2013 RCAHMS survey with the estimated area of these excavations. Craig Phadrig. 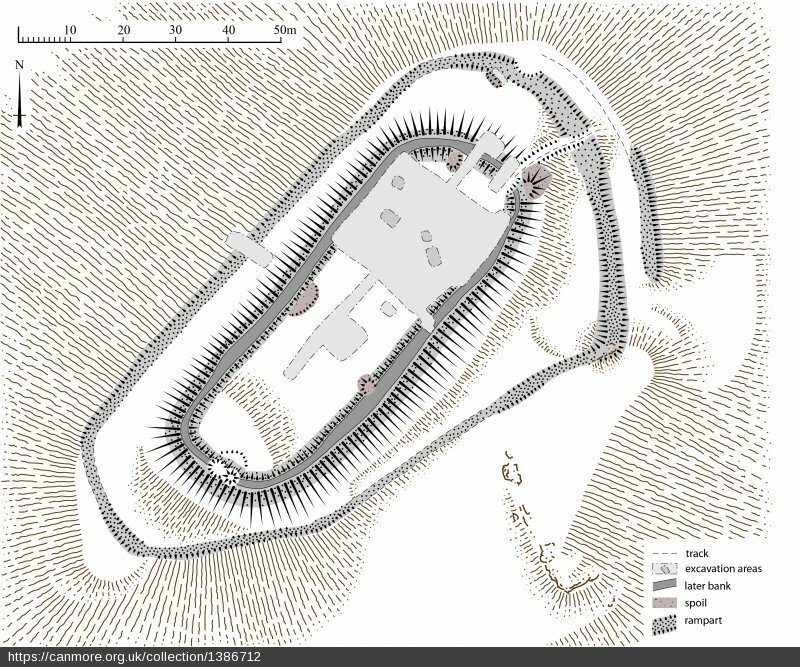 Plan of fort incorporating results of RCAHMS survey (Sept 2013) and earlier surveys (Canmore). Finally, in 1971/72 Alan Small and Barry Cottam dug for two seasons, from which only an interim report after the first season was produced. lmage of the inner rampart from 1971; Small found that the inner rampart had been built sometime in the 4th Century BC and that the wall core was significantly vitrified. 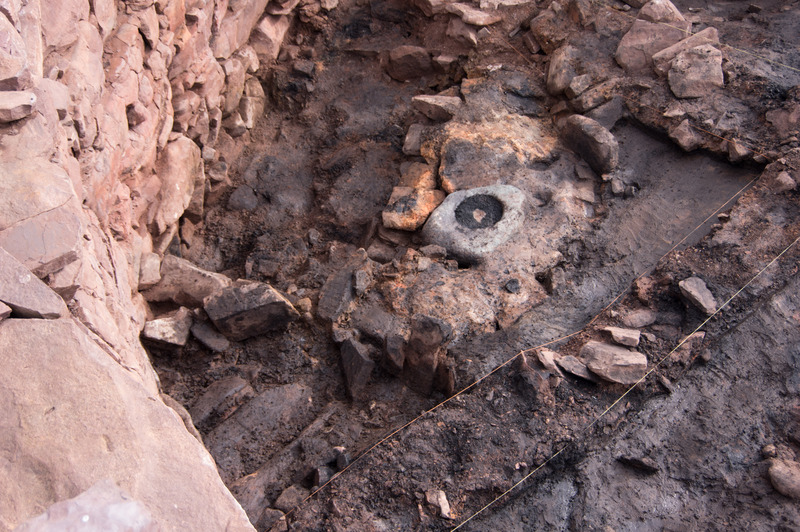 He also noted significant disturbance by other earlier excavations. This entry was posted in Excavations, Iron Age, Loch Ness, Aird and Inverness, Pictish and tagged Alan Small and Barry Cottam, Archaeological dig, archaeology highlands, archaeology inverness, Castle Law, Craig Phadrig, Dunnideer, Finavon, Forestry Commission Scotland archaeology, hillfort reuse, iron age archaeology, iron age hillfort, Knock Farrell, oblong hillfort, Ord Hill, Pictish, picts, radiocarbon dates, RCAHMS, Tap o' Noth, Torvean Hillfort, Turin Hill, vitirified Hillfort, wall core, wooden pallisade on May 6, 2016 by nosas. 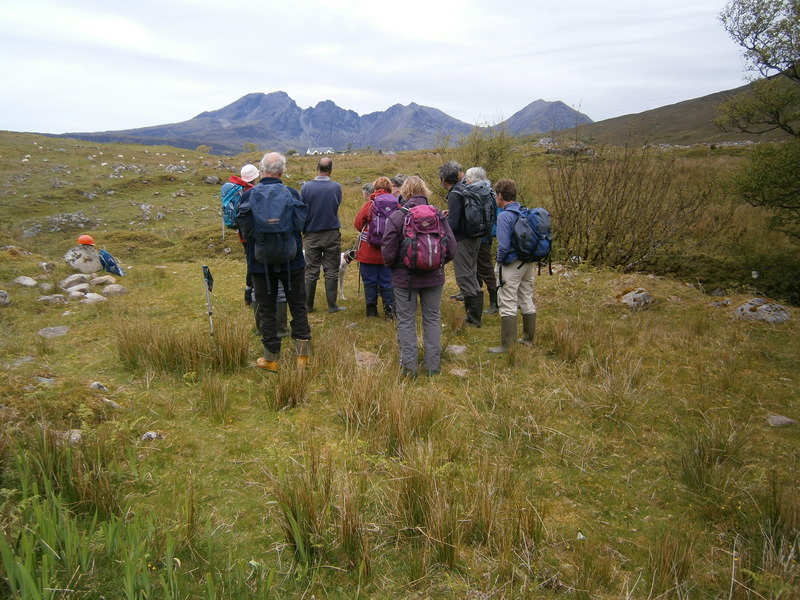 As part of a NOSAS trip organised by Beth Beresford to explore the exceptional archaeology of the Scottish Island of Skye Martin Wildgoose, and George Kozikowski guided us through Uamh an Ard Achadh (Cave of the High Field or High Pasture Cave). 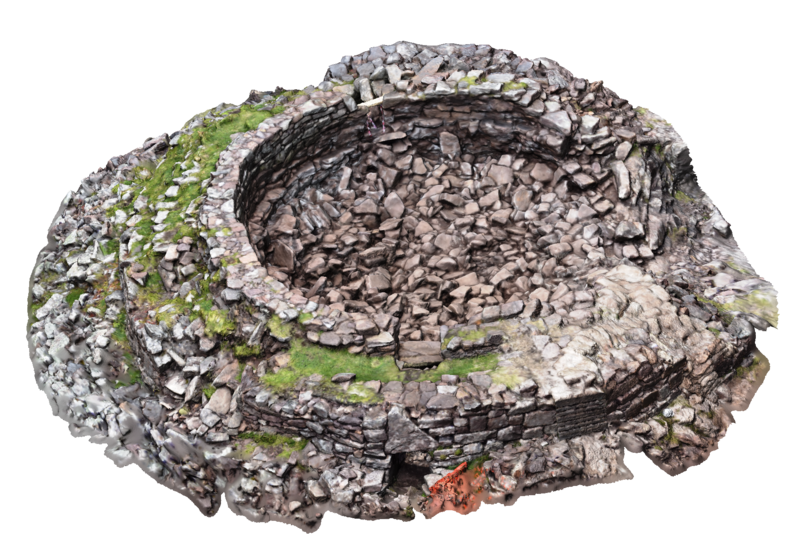 Situated on the Broadford to Torrin road, it has been the focus of late Bronze and early Iron Age archaeological research. Our guides were key members of the excavation team. Since reading Martin Wildgoose’s excellent article in Skye Magazine 2011/2012 and hearing his colleague Steven Birch speak on the subject (both of which are major references for this blog and an article in the forthcoming NOSAS Newsletter) visiting this unique location has long been on my wish list. 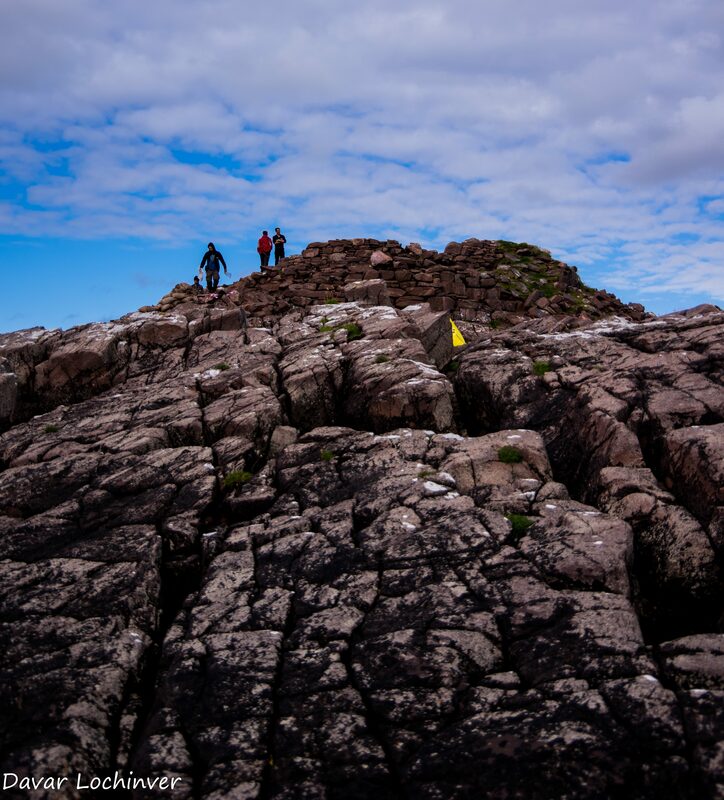 It certainly proved to be one of the high-lights of an excellent weekend exploring diverse terrains across Skye with timelines extending over thousands of years as described in Martin Wildgoose’s recent blog post for NOSAS. 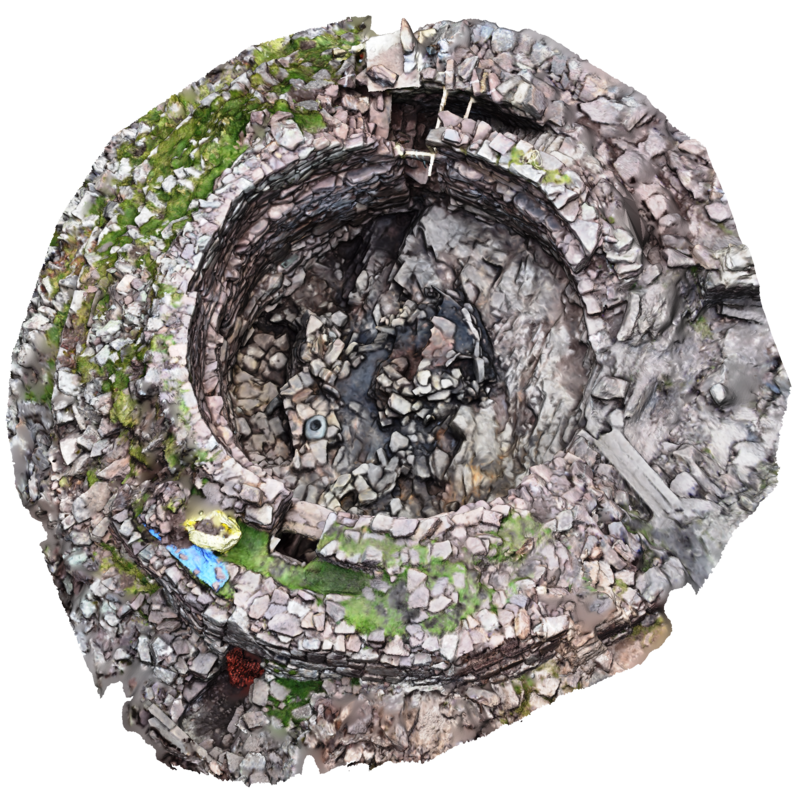 I am neither a geologist nor an archaeologist but enthusiastic about both disciplines and will try to do the cave justice from a civilian perspective. I remain mindful that High Pasture Cave (HPC) was a burial place where the remains of three humans and a number of animals including, cattle, deer and a high ratio of pigs were placed. With respect to HPC’s location within the wider landscape Martin Wildgoose emphasised how it lies within a natural amphitheatre as shown in my photograph. 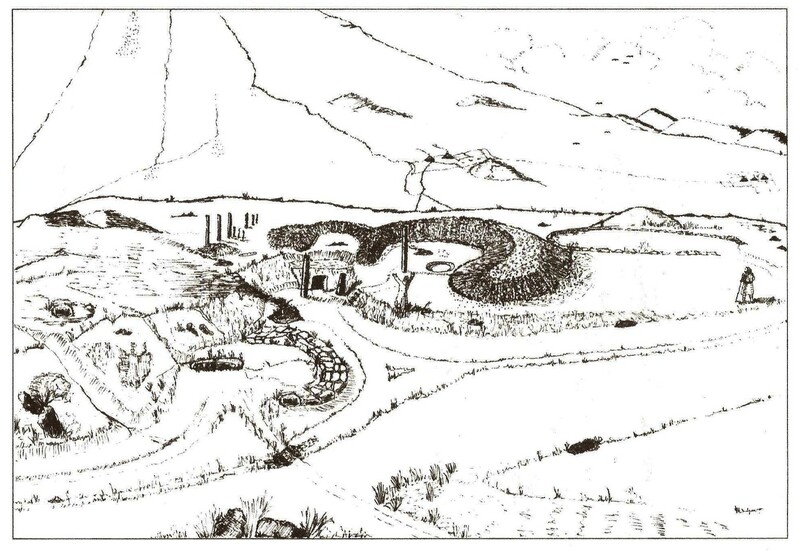 Martin Wildgoose’s sketch depicts how it might have appeared c600BC. 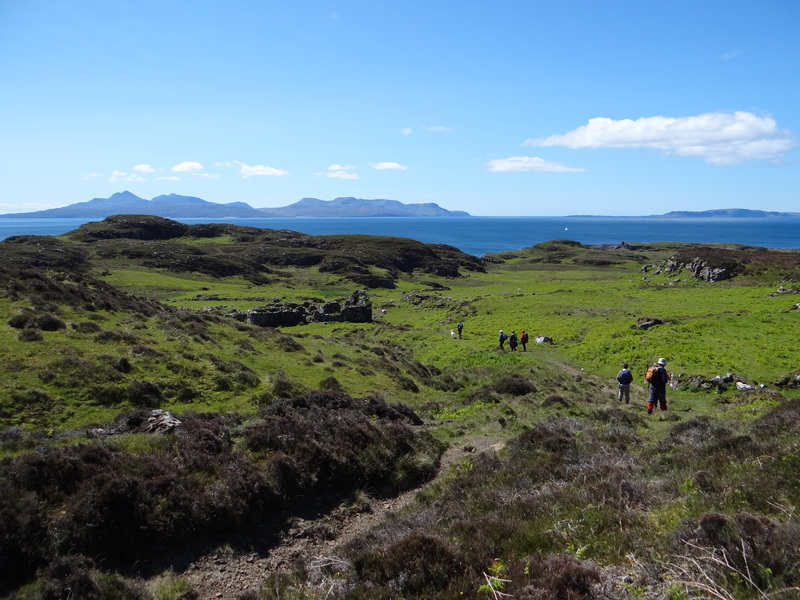 Note the pathway to the cave entrance, also the horseshoe shaped midden (rubbish tip) which contained deposits of discarded shells and other detritus. 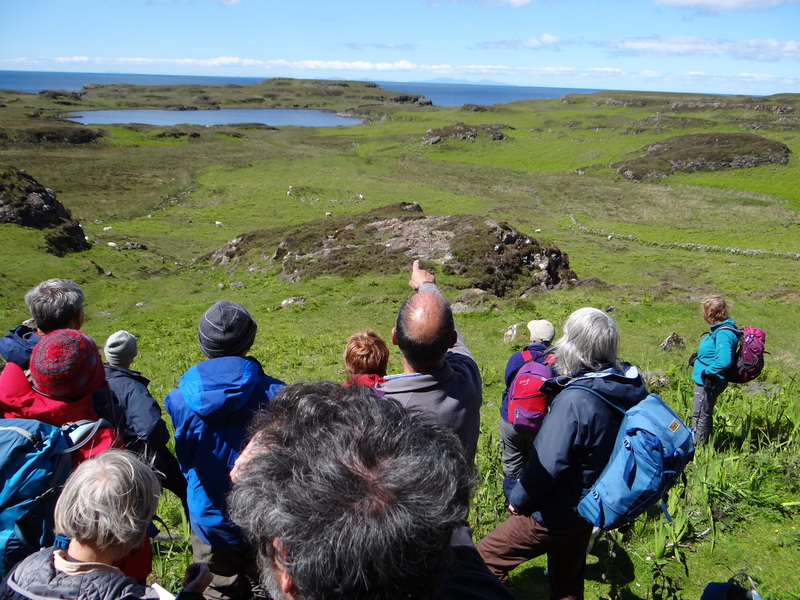 This entry was posted in Bronze Age, General Archaeology, Iron Age, Skye and tagged archaeological site conservation, archaeology highlands, archaeology skye, Bride, Bronze Age Archaeology, burial in stairwell, Cambrian Durness Limeston, cave acoustics, cave archaeology, cave excavation, foetal burial, high pasture cave, iron age archaeology, iron age human remains, Iron Age Pottery, Kilbride, Kilbride Early Christian site, Martin Wildgoose, neolithic archaeology, North of Scotland Archaeological Society, NOSAS, prehistoric lyre, Steve Birch on August 20, 2015 by nosas.